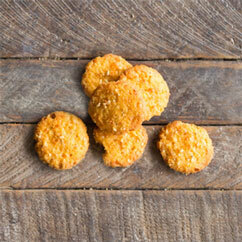 The Byrd Cheddar Crisps are a definite standout within our delicious savory collection. 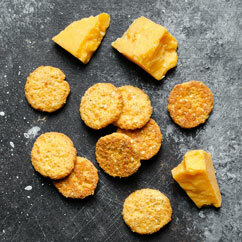 It's the incredibly light crispiness that sets the Cheddar Crisp apart. Each bite-sized Cheddar Crisp is loaded with perfectly aged cheddar cheese, sesame seeds, and our proprietary blend of spices. 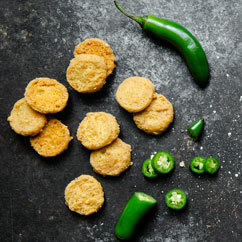 Around here we always recommend replacing your chips with crisps! 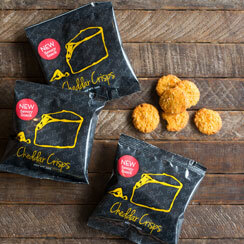 Our Cheddar Crisps are great for any time snacking and perfecting for lunching. 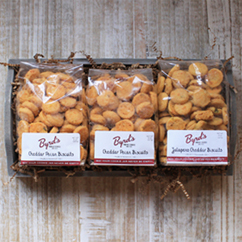 Grab a bag today and find your happy place! this is so so good i defiantly would recommend getting it! 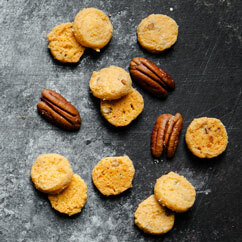 this is an amazing biscuit i love it so so much and would definitely recommend it.